2004 Craftsmanship Awards for the mural work and the stencil work by the Building Congress & Exchange of Metropolitan Baltimore, Inc. 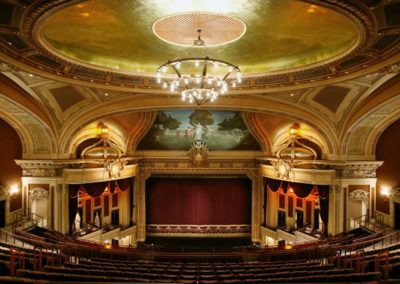 Designed by the famed Thomas Lamb in 1914, the 2,200-seat Hippodrome Theatre was to be restored as the cornerstone of an ambitious plan to revitalize an 18-block area of Baltimore’s west side. 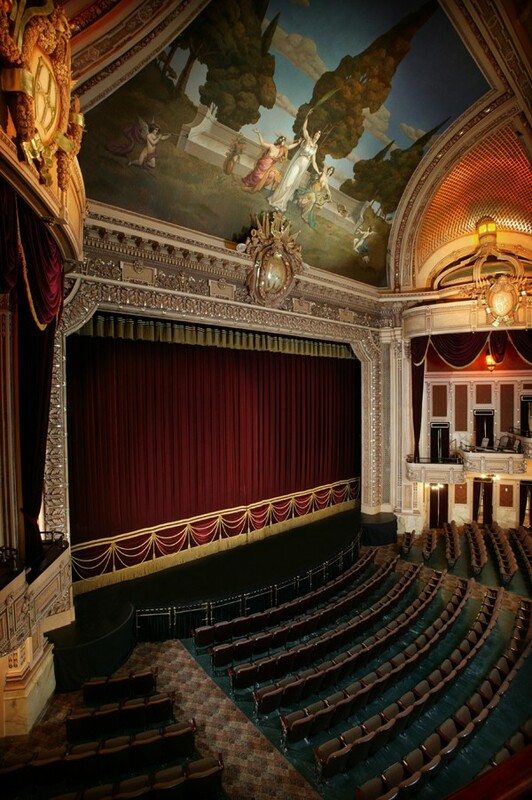 The Baroque theatre is the largest in Maryland, and the artistic centerpiece is the 45′ x 26′ Greek mythology mural above the proscenium. One of the most challenging aspects of the restoration was the re-creation of the missing center section of the artwork, about one-third of its total area. The mural was originally created by Vincent Maragliotti, whose commissions also include New York’s Shubert, Roxy and Majestic Theatres. 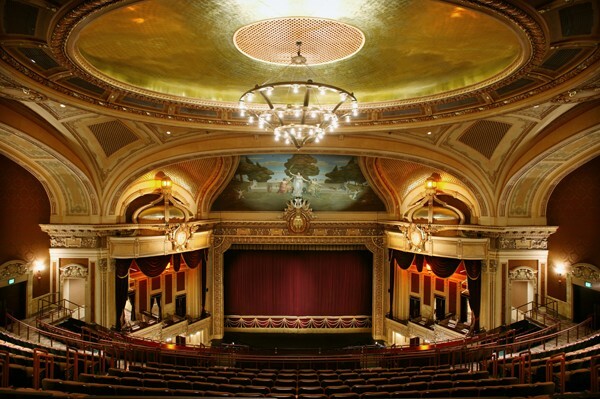 CSS conducted research to find historic images of the theatre to guide the replication of the missing section. Studio artists also restored the decorative finishes throughout the theatre, which included stenciling, gilding and glazing. In recognition of the excellence of these efforts, the Building Congress & Exchange of Metropolitan Baltimore, Inc. selected artists from CSS as the recipients of two 2004 Craftsmanship Awards, one for Mural Work and one for Stencil Work. The overall project included the replication of twelve loge boxes that had been removed in 1963, and two former bank buildings flanking the theatre contributed to the expanded Performing Arts Center complex. The Hippodrome returned to center stage when it re-opened in the autumn of 2003 as the lead building in the renewal of Baltimore’s west side.